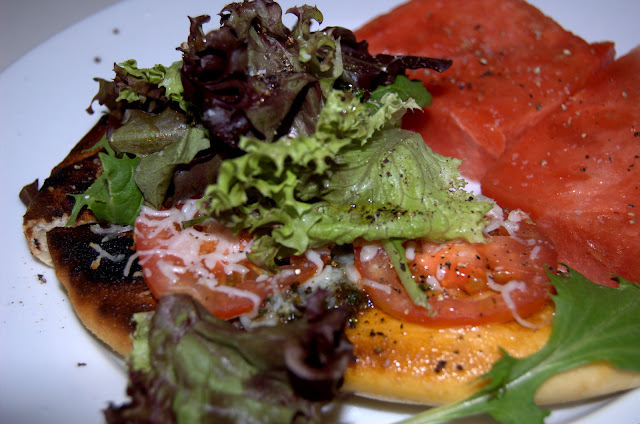 When the moon hits your eye like a grilled pizza pie….ow. That’s gotta hurt. 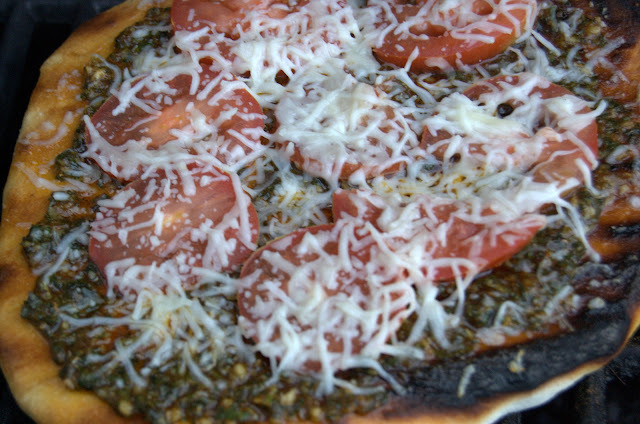 Josh and I had a late-ish dinner tonight and decided to go with something light and easy: grilled pizzas. We were encouraged by our first efforts to try it again…because it’s delicious. Going off a tip from Jodi (thanks Jodi!) about sprinkling garlic salt on the crust, I doctored ours up with a bit of the steak seasoning we’d gotten for our NY strip steaks on Friday. We hadn’t liked it much for the steaks but I thought the garlicky-ness of it would go great with the bread. Josh opted for his usual pepperoni and bell pepper pizza, while I felt like going light and vegetarian, topping my grilled crust with a bit of homemade pesto (the basil on my deck was getting out of hand and I had some walnuts to use up), some thinly sliced tomatoes and mozzarella cheese (and then, after it came off the grill for the last time, a good sprinkling of salad greens, some salt and pepper and a thin drizzle of olive oil). For a simple side dish, some sliced watermelon with salt and pepper (sounds odd, I know, but quite tasty actually). 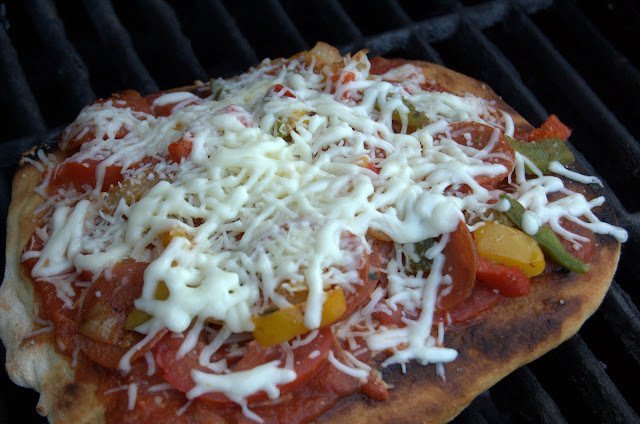 This entry was posted in General Musings and tagged comfort, Grill, pizza on July 19, 2009 by Lauren.